At Brisbane Translation, we provide cost-effective, high quality Korean to English and English to Korean translation services. Most of our clients range from Brisbane’s residents, small businesses, organisations, top companies and government institutions who use our Korean translation services. All of our Korean translation systems and processes are simplified and systematised to ensure we meet your deadlines. Our team of highly skilled project managers administers your translations from receipt to delivery. We have expert linguists who have years of experience in the translation industry. Each of our Korean translators is NAATI certified, so your documents conform to all of Australia’s high standards in the translation industry. We provide certified Korean translation services for almost any type of field including the legal, business, financial, personal, engineering, technical and many more. Get an instant quote in 15 minutes when you fill in your details in the translation form located on this page. We are capable of providing, amongst many others, technical, financial, legal, medical, business, certified, marketing and personal Korean translation services, in addition to the translations for the government sector and certificates. Our Korean translation services are capable of translations with varied requirements, so we are remarkably well-equipped to serve you. Our document translations are performed by only professional, certified and highly experienced translators who have an in-depth understanding of the nuances of both the English and Korean languages. Therefore, we can provide all of our clients professional, accurate and affordable Korean translation services. Certified Korean to English and English to Korean translations of all official Korean documents such as certificates of naturalisation, marriage certificates, birth certificates, divorce judgements, family registers, family relation certificate, driver’s licence, degree certificates, etc. At Brisbane Translation, we offer the most competitive rates for Korean translation services in Brisbane. For as low as $69 per page, we can provide you with a NAATI certified Korean translator. Prices vary depending on each document’s subject matter, deadline, length and complexity. In need of fast Korean translation services? Need your content fast? We can provide fast turnaround translations. On average we can finish a translation in 2 to 3 working days. With our Instant and Express Korean translation services, we can provide you with a translation in less than 24 hours. Let us know what you need, and we will gladly help you. Fill the online free quote form with your details and attach your document. We will provide you with a firm quote within 15 minutes. We will start your translation upon verification of your payment. A draft of the finished translation will be emailed to you for your review and approval. Once the translation is approved, we will send you the final soft copy and a hard copy by post (if needed). 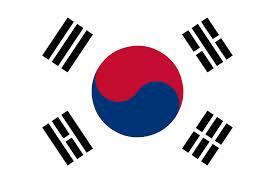 The Korean language is the official language of both North and South Korea. The Yanbian Korean Autonomous Prefecture in the People’s Republic of China has also listed Korean as one of its two official languages. Around the world, there are more than 78 million Korean speakers. Sejong the Great has commissioned a national writing system around the 15th century. Currently, the system is called as Hangul. Before its creation, Koreans utilised the Hyangchal, Idu and Gugyeol phonetic systems and Hanja in their writing systems for more than a millennium.